We have an amazing selection of vampires for your Valentine’s Day celebration! Let your loved one know that you would be happy to bite them all over again! Young healthy men and women are dying mysteriously after being found non-responsive at different places around town. No matter what the ER team tries to save them, they fail. The only clues left on the bodies are minor scratches and small puncture wounds. Detective Mason knows that he is on the trail of a careful yet bizarre serial killer. He has followed the deaths and clues from city to city. Now, with the help of a nurse, he may finally be closing in on the killer if he can control his own dark secret before more bodies come in drained of blood. Only a vampire needs that much blood. Listen in to Dark Oak Author M. B. Weston’s Final Cut in Movies Radio Show! 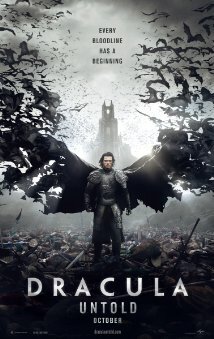 Tonight: Dracula Untold! Dark Oak author M. B. Weston‘s Final Cut in Movies radio show airs tonight on TMV Cafe Radio (tmvcafe.com) at 8:00 EST! She will be discussing the movie, Dracula Untold, starring Luke Evans, Dominic Cooper, Charles Dance, and Sarah Gadon, and directed by Gary Shore. She will also be filling everyone in on vampire lore, and the history of Bram Stoker’s Dracula, as well as the link between Stoker’s Count Dracula and Vlad the Impaler. Listen Live at 8:00pm EST at TMVcafe.com!